Description: "The secluded location on the Connecticut River, tucked behind Eustasia Island, is only eight miles from Long Island Sound and just two miles north of Essex. Deep River offers excellent spots to explore (and enjoy a safe anchorage) by boat including: Hamburg Cove, Selden Creek, and Pratt Cove. 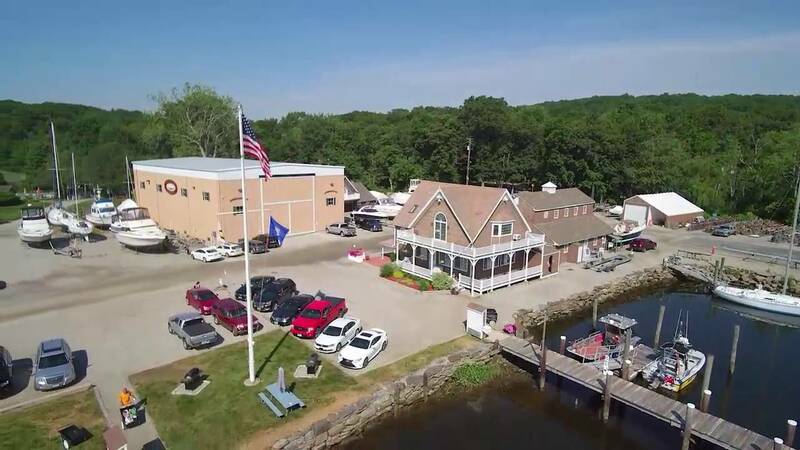 Steeped in colonial charm, history, and a long legacy in the ivory trades, Deep River offers unique shops, amenities, and wonderful restaurants within walking distance to the Marina." 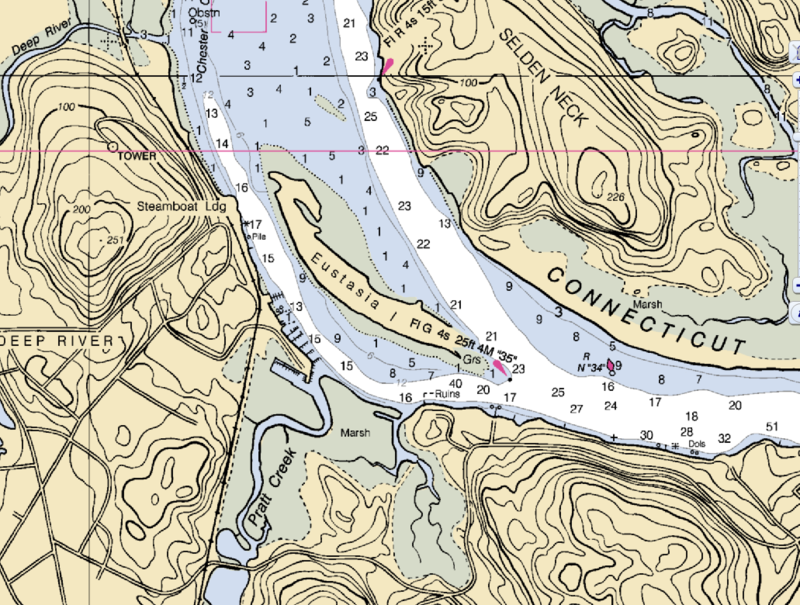 Travelling up the Connecticut River, as you near N"34", bear to the left and pass with the daymark on the south end of Eustasia Island on your starboard side. Enter the channel west of Eustasia Island and proceed slowly to Deep River marina on your port side. Brewer Deep River Marina. The location behind Eustasia Island protects your boat from the agressive boat wakes on the river. View of the office/ships store. Like all Brewers marinas, Deep River offers excellent mechanical and boat repair services.